What is included in the ECC? The ECC currently includes a collection of subscription databases of published content, including scholarly articles, popular news and magazine articles, reference articles, business data, and e-books. See the full list of 2018-19 ECC databases at the bottom of this document. Who is responsible for the ECC? The ECC began in 1999 as an initiative of the CSU Council of Library Deans (COLD). It is funded by the CSU Chancellor’s Office, Academic Technology Services Division. Decisions about subscribed content included in the ECC are made by COLD, based on recommendations made by a COLD standing committee, EAR (Electronic Access to Information Resources), whose ten members include two deans, plus librarian representatives from small, medium, and large CSU campuses, each serving two-year terms. Who can access the ECC? All CSU students, faculty, and staff have unlimited access. What is the current budget for the ECC? $5 million per year, which has stayed flat since 2008. This cost equates to about $10 per CSU student. What disciplines are covered by the ECC? The ECC has a range of disciplinary content, including business, humanities, social sciences, law, technology, music, and physical and life sciences. The ECC is weak in STEM content, however, with several core resources missing. For example, the ECC does not include the most recent six years of the journals Science or Nature. Neither does it include the top science journal database, Elsevier’s ScienceDirect or the key resource for chemistry majors and faculty, American Chemical Society Journals. How is the ECC being used? This material is used for faculty and student research, creation and completion of course assignments, information literacy instruction, and a variety of other faculty, student, and staff projects. In 2017-18, there were over 17 million full-text downloads from all library databases procured by the CSU Chancellor’s Office, including the ECC. If a resource is not included in the ECC, how do students and faculty at CSU campuses get access? In some cases, individual CSU libraries subscribe to core resources not included in the ECC, which may be accessed by just those campus users. In other cases, particularly at smaller or less-resourced campuses, the individual library cannot subscribe to all core, necessary resources. Those students and faculty must rely on interlibrary loan, a slower, more onerous process and limited by copyright restrictions on quantity, or do without. This creates educational opportunity inequities between CSU campuses, and these access gaps have grown over time. Does the system save money by purchasing content consortially for the ECC rather than individually by campus? Yes. Savings for system-wide subscriptions vary but buying as a system is almost always less expensive. How has the ECC been affected by stagnant funding and subsequent erosion of buying power? With stagnant funding over the last ten years, there has been a loss of approximately $1 million of buying power due to inflation alone. Unfortunately, subscription price increases have exceeded the inflation rate during that time period, so loss of buying power is actually much higher. For example, Elsevier recently claimed its average annual price increases were among the lowest in the industry at 5% per year. Using Elsevier’s estimate as a minimum, loss of ECC buying power in ten years would be a minimum of $3.4 million. With at least $3.4 million loss of purchasing power, the core collection has had to be modified over time in order to stay within the $5 million budget, pushing the costs of core information resources onto individual campuses, with many campuses losing access altogether. A recent example is the cancellation of LexisNexis Academic Universe—an online service composed of approximately 5000 full text legal, news, reference, and business sources—in 2017. Nineteen campuses were not able to retain subscriptions to LexisNexis. See the full list of databases that have been cut from the ECC at the bottom of this document. What’s happening with the ECC budget for 2019-2020? The ECC is facing more than $600,000 in cuts in 2019-20, as reserves from other budget areas that have been used in past years to cover this overage have been spent down to zero. This underfunding will translate to dropping subscriptions to several core research databases. What budget increases are needed to make the ECC whole? Increasing the ECC to $10 million would address losses in purchasing power from ten years of stagnant budgets. Increasing the ECC to $15 million would allow the system to expand access to new types of content not included in the ECC to date, such as streaming media. What would the CSU libraries do with increased funding? While decisions about ECC content are made via a shared governance process, there are several options that would serve the entire CSU system. Several core databases and journal collections that the majority of campuses pay for individually could be added. Subscriptions to emerging and in-demand content types could also be added. What would it cost to make the ECC whole? For the equivalent of $10 more per student in general funding, the ECC will provide fair and equitable access to core information resources for all CSU students and faculty, and restore access to fundamental resources for science, business, and legal research. What will happen if we maintain the status quo in the ECC? Without increased funding, the ECC will continue to shrink, information access inequities will grow across the CSU, and opportunities for system-wide purchasing efficiencies will be lost. What specific databases are included in the 2018-19 ECC? What specific material has been cut from the ECC since 2010? In addition, the following databases were previously partially funded via the ECC. In 2013, that funding was eliminated. Full text of the resolution. Open access refers to free, online public access to scholarly and scientific works in open access journals (gold open access) and university repositories (green open access). 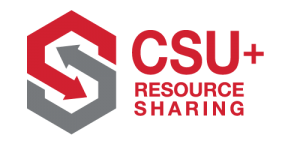 All CSU campuses have open access institutional repositories. Open access resolutions and policies for faculty are currently in place at more than 200 American universities, including a mandatory (opt-out) policy for the entire UC system, as well as resolutions at a small number of CSU campuses. On October 27, 2016, the CSU Council of Library Deans (COLD) unanimously voted for a resolution in support of Open Access for CSU Faculty Publications. 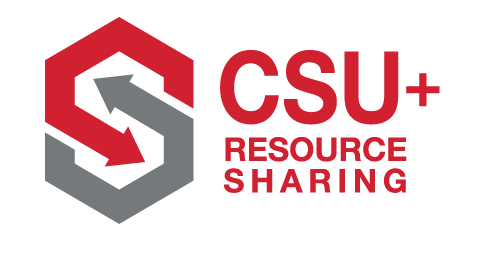 The CSU libraries are committed to increasing equitable access to scholarly research by supporting faculty efforts to publish in Open Access Journals and Repositories. Full text of the resolution (PDF). Makerspaces have become increasingly popular additions to libraries, allowing visitors to learn and apply hands-on creative skills in tandem with traditional scholarship. Several CSU campus libraries have developed maker spaces, adopting maker culture, which values creation as an alternative to consumption. Both makerspaces and libraries provide informal learning opportunities, so it’s not surprising that libraries are serving as facilitators and incubators for the accessible, collaborative culture that makerspaces strive to create, according to Isis Leininger, Coordinator at Oviatt Library’s Creative Media Studio, CSUN. 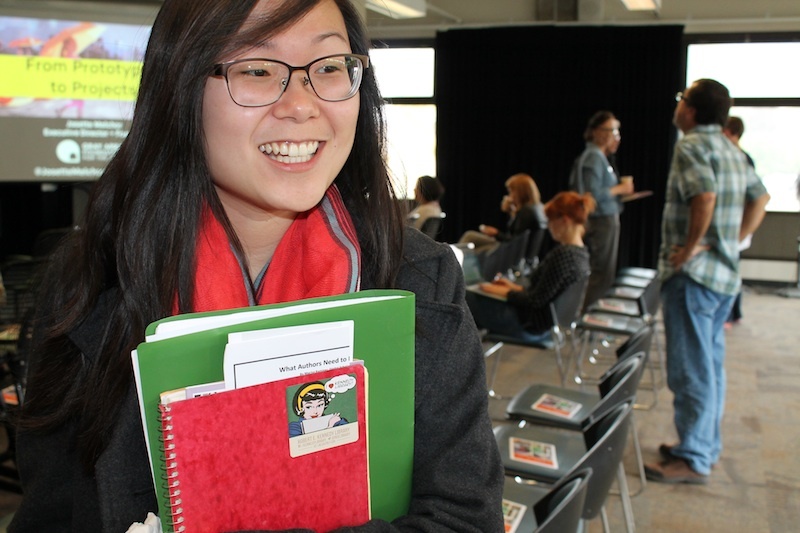 “Beyond just providing access to innovative technologies, makerspaces are a place to discover those technologies, use them, and in turn cultivate student engagement,” added Jenny Wong-Welch, Director at Love Library’s build IT, SDSU. According to Wong-Welch, the makerspace that she helped to found grew out of a personal interest in technology. “Right about the time I started doing 3D printing, I did some workshops, so that became the stepping stone for incorporating my own interest in electronics into helping students actually make things,” Wong-Welch said. 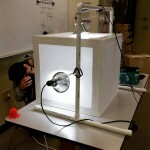 A light box, built in build IT, can now be used by other makers to show off masterpieces. Build IT’s 3D printers are busily bringing forming imagination into reality. From virtual reality equipment to advanced digital editing software, students have access to explore and utilize a variety of tools and platforms. Even in their infancy, the two makerspaces at Love and Oviatt libraries have given students opportunities to grow beyond what they learn in the classroom. “Students here are really gaining the opportunity to build interdisciplinary skills and go beyond their major. Meeting people from other majors and being in a collaborative environment like this is preparation for their future careers,” Leininger said. “I think that this learning community helps to build universal digital skills in a newer manner than you would in a class. But you are also building workplace skills and you get a chance to learn about the design process which lets you conceptualize, design, engineer, evaluate, and reiterate,” Wong-Welch added. Building a community is at the core of the makerspace ethos, and Leininger believes the makerspace she coordinates has been successful at not only attracting students but cultivating a community. “Students here are engaged and love being here. The recording studio is pretty much occupied all the time. People from all different majors have come together to make this a very popular space,” Leininger said. Students excited to learn and share new skills become so highly involved with these spaces that makerspaces are able to organically foster student communities and connections, Leininger explained. Oftentimes, students have the opportunity to play larger roles within their makerspace community as student assistants. CMS student assistants, Alyse Kollerbohm, Rose Rieux, and Eva Cohen, training each other on 3D modeling and printing. As library makerspace communities grow, staff are actively planning to provide students with greater access to more maker tools and nurture even more creativity across their campuses. Many other CSU libraries are enhancing their campuses’ learning potential by fostering maker culture. Here are some of the exciting initiatives being implemented. Pop-Up MakerSpace: Converting laptop storage cart into a convertible maker space. It will include the kits listed above, soldering kits, servo kits and a mini 3d printer. Maker Days: Monthly events, ranging from Arduino and 3D printing to quilling and pumpkin carving. Innovation Lab: Partnering with SCI220, a science class, the Library piloted an Innovation Lab in January 2016 in a Library classroom. 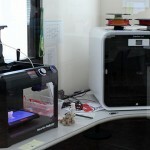 The lab featured 3-D printers, Arduino kits, and other gear. The pilot was deemed successful, and SCI220 will be repeated in the fall of 2016. 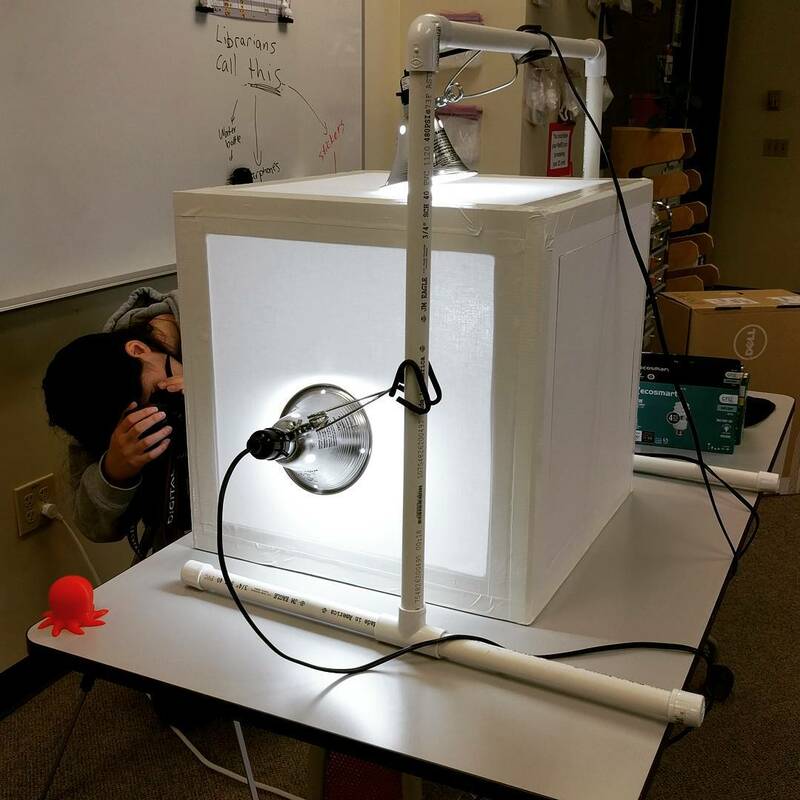 Additions to the lab for fall 2016 may include a 3D Scanner and Raspberry Pi computing. At time of publication, still more programs are taking shape across the state. At Cal Poly San Luis Obispo, Robert E. Kennedy Library is collaborating with the campus’ Innovation Sandbox to expand and move their location to the library. Cal Poly Pomona University Library has allocated a section of their building for a maker space with plans to hire staff. At Chico State, the Meriam Library plans to establish a maker space in the future, and the Sacramento State University Library is in the process of raising funds. 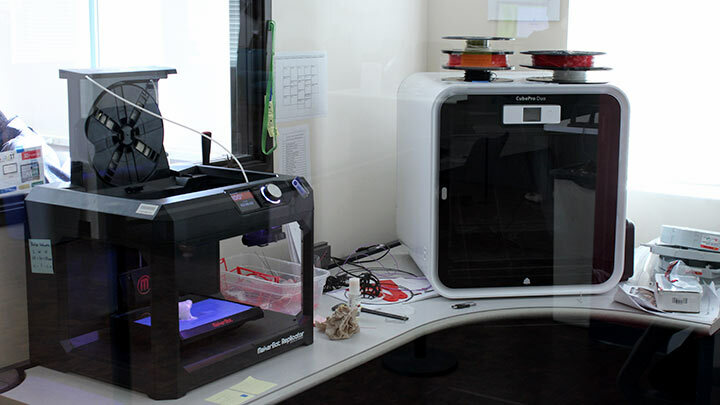 CSU libraries are operationalizing maker culture in a variety of styles, formats, and programs, but their goals remain consistent: provide access to information and technology, teach new skills, and create a safe, welcoming learning environment. These core values have always been at the heart of the libraries’ mission, and the future holds exciting possibilities for maker culture to continue enriching library learning. In October Governor Brown signed Assembly Bill 798, the College Textbook Affordability Act of 2015, which establishes a $3 million grant fund to be awarded to CSU and community college campuses that demonstrate their commitment to increasing adoption of high-quality, no-cost and low-cost course materials. Since then at least 17 CSU libraries have collaborated with staff across their campuses to apply for grant funding, which would allow them to more widely adopt affordable learning solutions (ALS) and open educational resources (OER). Each campus may apply for up to $50,000 to fund faculty professional development and technology support. AB 798 aims to reduce costs of course materials for students by providing OER adaptation and adoption support for faculty. For many faculty, time is “one of the most challenging things” about shifting toward OER, according to King Library Sr. Assistant Librarian Ann Agee. In response to these concerns, both Agee and Beatty hope that grants from AB 798 will make it easier for faculty to make the switch over to more accessible course materials. “We’re developing a 2-3 hour faculty workshop to help link faculty to OER resources,” Beatty said. At San Jose State, Agee has noticed that health science, library science, and computer science departments have been the biggest adopters of ALS. For the time being, San Jose is focused on adopting resources for “high-enrollment GE courses,” but other disciplines such as meteorology are also interested in adopting more accessible resources. Beyond the faculty professional development opportunities AB 798 offers, many ALS specialists hope that this legislation will bring about a shift in institutional culture. “We want faculty to think of the cost of instruction from the very beginning so that we can change the culture and attitude toward OER,” Beatty said. Looking forward, Beatty hopes this legislation will have far-reaching impacts on student experiences beyond the class sections funded by the first round of grants. “We want to reach as many courses as we can,” Beatty said. Bohn believes the CSU’s commitment to accessibility will continue to be at the forefront of designing educational content. “My biggest hope is that we continue to be ambassadors in designing accessible courses for everyone,” Bohn said. For more information about AB 798, participating faculty and courses, and helpful e-textbook reviews, visit http://www.cool4ed.org/.